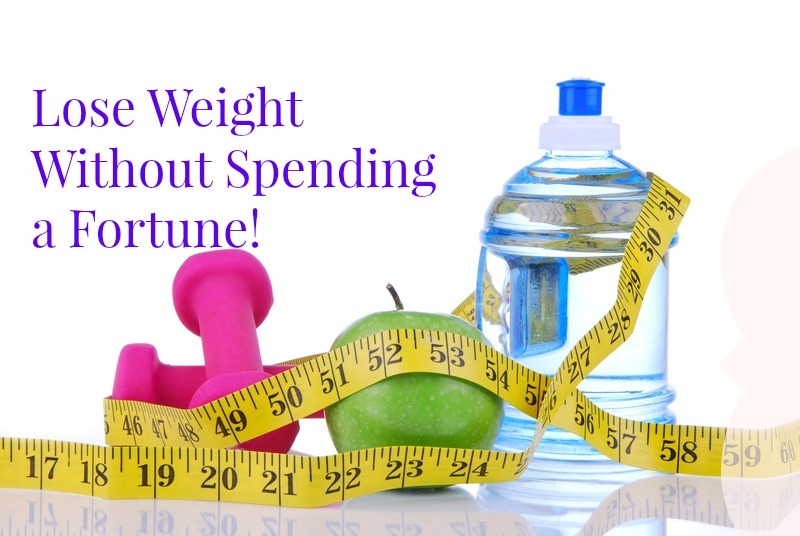 Lose Weight Without Spending a Fortune! One of the most common things I hear when discussing my weight loss is, “Isn’t it expensive?” In all honesty, I spend less now than I did before I started losing weight. I thought I would share with you my tips on how to lose weight without spending a fortune. Buy fresh and in season produce. This is the biggest and most important tip I have for you. For example right now it’s May in Georgia. And, so fresh produce is coming in. So, squash, peppers, green beans, corn, onions, potatoes and all those summer veggies are at their lowest price. These are the things that I am eating right now. I can’t wait to start eating melons when they start to come in! However, right now I don’t want to buy citrus, apples, and winter squash. Because, those are all out of season and so they are going to have a much higher price point. I eat apples in the fall and citrus in the winter. When you buy fresh produce buy what is in season at the time that you are buying. That will help you save quite a bit of money alone. Buy frozen vegetables. Another way to save money on vegetables is to buy frozen. Frozen is typically very cheap but it also doesn’t go bad nearly as fast as fresh vegetables. Just try to avoid the frozen veggies that are covered in sauce. Skip the individual packages. You know those small 100 calorie packs that oh so easy to grab and go? Those are going to cost you a lot more per ounce than you would pay to buy a larger package of the same item and put it in a baggie yourself. Avoid the higher prices by making your own snack bags. Shop the meat sales. Meat is one the higher cost items. I eat a lot of chicken because it’s a lower priced meat. However, chicken can be on sale for $1.99 per lb one week and then the next week it can be as much as $4.99 per lb! Ouch! That’s a huge difference. When it’s on sale for the $1.99 per lb price I make sure I buy enough to last me at least 3 or 4 weeks until I see it go on sale again. I really want to avoid paying the $4.99 per lb price as much as I can. Skip the processed foods. One of the most expensive things in the store is all the processed foods. I save money by avoiding the processed foods and sticking to a few grains like brown rice and quinoa, fresh or frozen produce, and a protein source like meat or beans. I will buy some seasonings from the middle of the store but I try to avoid anything that comes from a box as much as possible.